Nidec Group has been growing by extending the number of group companies and business bases in many countries around the world. Nidec Group will continue to supply unrivaled products to global markets by utilizing the synergy of group company characteristics and attributes as the "world's No.1 comprehensive motor manufacturer." 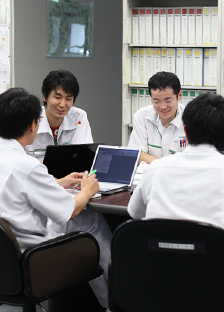 Nidec Sankyo offers so-called "karakuritronics" products that are fusion of the actuator technology, developed through a wide range of business activities in which motors are placed as the core, and the servo system control technology, gained confidence in high-precision industrial robots. The leading manufacturer of camera shutters. The company is operating extensively in various fields including those involving small precision motors, precision-machined parts, industrial system equipment, and image printers. In pursuit of high precision and reliability, the company combines the most advanced precision technology to provide unique products in the fields of mass-produced automobile components and measuring machinery. Nidec Copal Electronics develops, manufactures and sells electronic circuit components, pressure sensors, actuators, and other electronic parts primarily for the industrial equipment market. We specialize in air conditioner motors and industrial motors, and now have a leading share of the global market for brushless DC motors used in air conditioners. Responding to the diverse needs of customers in various countries around the world, the company provides a range of products to general consumers for industrial use including power supplies, plant facilities, various industrial systems, refrigerating and air conditioning equipment, home appliances, and tools. The company engages in design, manufacturing, and installation of a variety of motors and power generators, electric and electronic equipment, and industrial automation systems. The company strives to improve battery efficiency and reduce water use and noise by using the most advanced solutions that meet the needs of home appliance manufacturers. The company provides servicing and support in the automation business for heavy industry. Nidec Control Techniques is a leading manufacturer of AC and DC variable speed drives, servos and power conversion technologies for commercial and industrial applications. Our innovative products are used in the most demanding applications, requiring performance, reliability and energy efficiency. NIDEC GPM GmbH develops and manufactures water pumps, oil pumps and modules for the automotive industry, that saves energy, space, weight and cost. As a leading development supplier NIDEC GPM GmbH is represented broadly in the most important markets of the automotive industry. Nidec Kaiyu Auto Electric (Jiangsu) Co.,Ltd. markets brush motors for electric power steering systems and other automotive motors. Kinetek offers commercial motors for a wide variety of fields and has a high capacity for engineering solutions that support many types of custom design and has advanced control technology. Leroy-Somer is a world-leading specialist in industrial alternators and drive systems, with a wide range of electric motors, geared motors and variable speed drives. The company provides highly innovative solutions with a strong focus on energy efficiency, performance and reliability to serve the industrial and large-scale commercial sector markets. Nidec Motors & Actuators provide automotive motors that increase automobile safety and comfort. Nidec Automotive Motor Americas, LLC provide automotive motors that increase automobile safety and comfort for markets in the Americas. 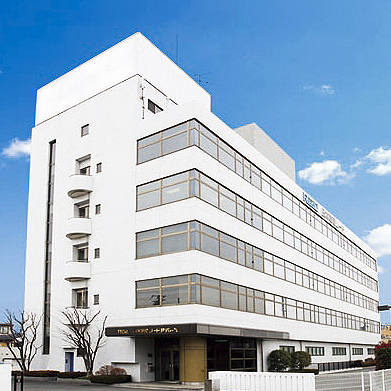 The company, which established world-leading technology in "traction technology area," operates in the global market for power transmission drives, specializing in speed reducers dedicated to servo motors and high-speed and high-precision automatic press machines along with measuring instruments and pottery equipment. Setting customer requirements as the starting point, Nidec Servo integrates every available technology to meet customer requests. Nidec Component Technology Co., Ltd. manufactures the base plates and top covers as module components for HDD motors that are the core business of Nidec Corporation Component Technology. 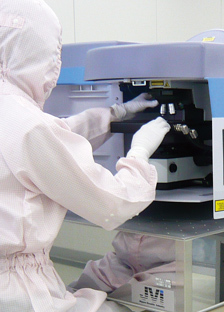 As the world's leading manufacturer that specializes in micromotors, Nidec Seimitsu Corporation supplies small, high-performance and easy-to-use devices through the use of advanced technologies and the ability to present proposals. Our strategic position within the auto industry is to apply our knowledge of diverse electronics technologies to create innovative control systems that will improve the convenience, safety, and fundamental performance—accelerating, cornering, and braking—of automobiles. Nidec Global Service Corporation provides a range of services to Nidec Group Companies including product sales, insurance agency, real-estate agency, and other business contract agency services. We also offer various products and services to general consumers.